Of course, brand messaging is important. But how many times do words alone get your attention? Photography is the driver that reels people in to learn more, to read that headline or body copy. It’s what makes shoppers slow their shopping carts when scanning the shelves. It’s what stops an Instagram-scrolling thumb. Using stock images limits you—a lot. Imagine your team has come up with a brilliant campaign for your cupcake business based on birthday celebrations. Well, it’s common sense to presume the relatively economical stock-photo world has a billion cupcake images. And it does. We did the search here. But do those cupcakes look like your cupcakes? Are they the same flavors you offer? Is there consistency from one model to the next or across all the styles in which the photographs were shot? When you look at the details, its clear that doing your brand justice with stock photography is really not as easy as you might suspect. 1. Stock photography is not authentic. If it’s in a stock photo, it’s not your product. In a market where brand transparency is so important to consumers, using stock imagery as your sole photography supplier is a mistake—especially if that photo on your homepage happens to be the same one on your competitor’s Facebook banner. 2. Stock photography is not specific. 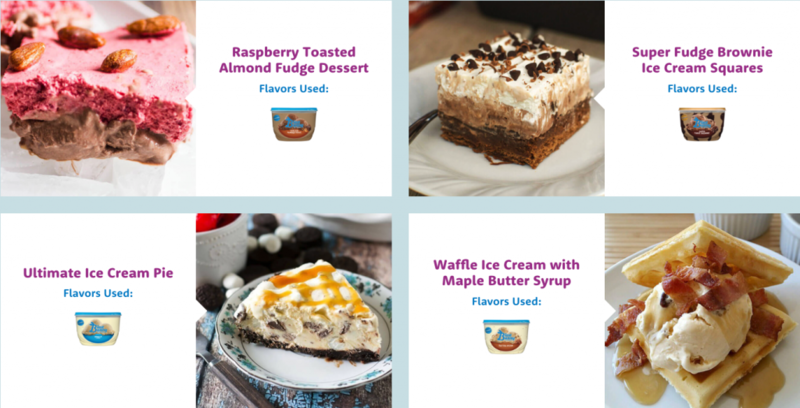 Blue Bunny Ice Cream has a fantastic recipes page on its website. Think it’s stock photography? Not a chance—because, even in the cyberspace universe of stock images, you simply won’t find a photo of a “waffle ice cream with maple-butter syrup” like the one shown here. Look, cost is always a variable that deserves scrutiny. But, against stock and amateur photography, the question really ought to be about value. In other words, it’s about spending more to achieve what’s necessary on the path to building a strong brand. If you recognize and value the authenticity and specificity advantages of shooting your own photography, you can achieve both at the same time a professional photographer and food stylist. 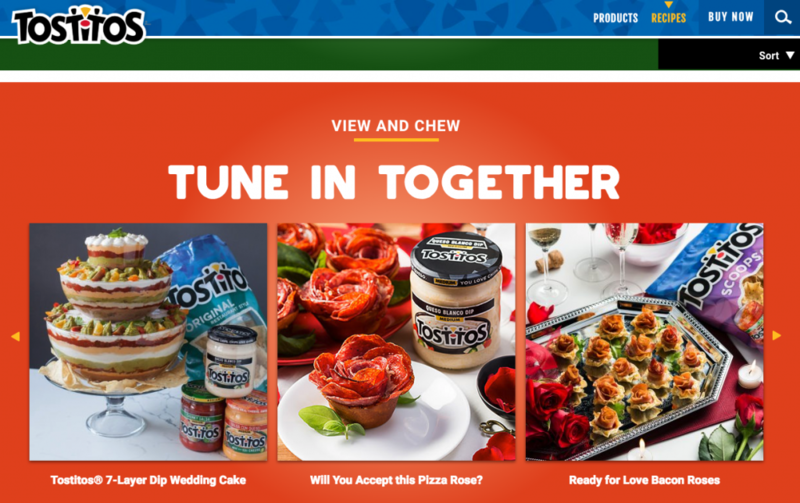 Similar to Blue Bunny, Tostitos took it one step further and included its packaged product with the food photography. Talk about authentic! 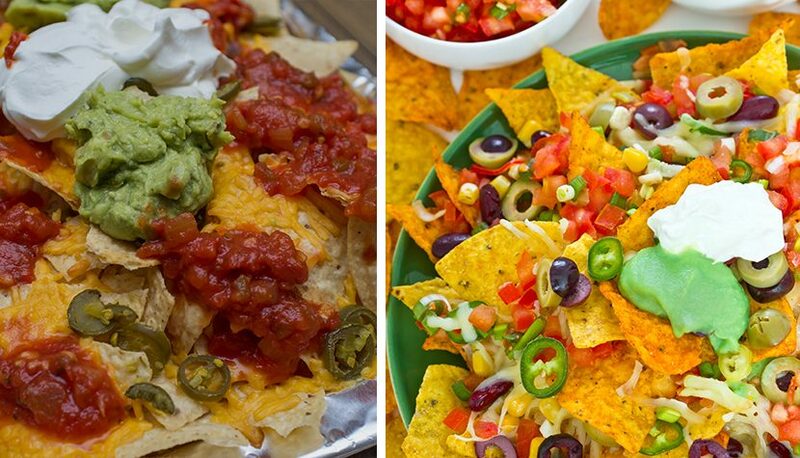 There’s no denying that these are Tostitos’ recipes, using Tostitos product. This boosts brand credibility in a big way. It’s about maintaining a brand image across multiple platforms. 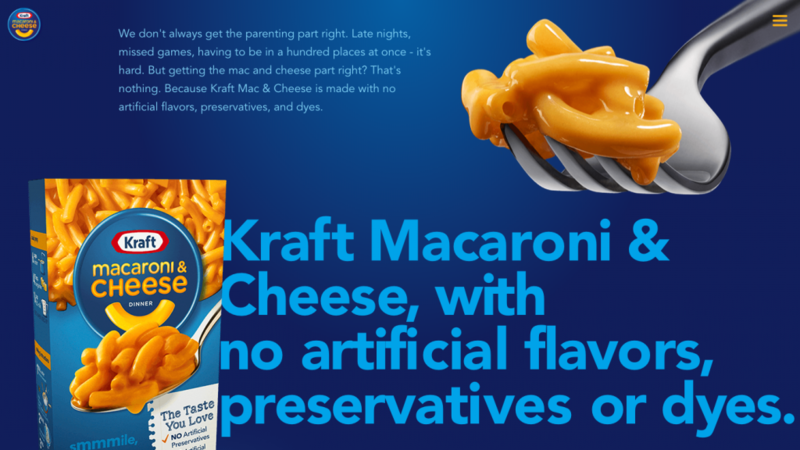 You’ll find a great example of cohesiveness on the Kraft Mac & Cheese website. The mac & cheese on the fork matches the photography on the packaging seamlessly. It’s small details like this that go unnoticed by most, but these subtleties really contribute to creating a strong cohesive brand. As much as you may be tempted to save a few dollars by shooting your products on an iPhone with a white wall in your office as a backdrop, you’re never going to get the consistency consumers expect from a professional brand. 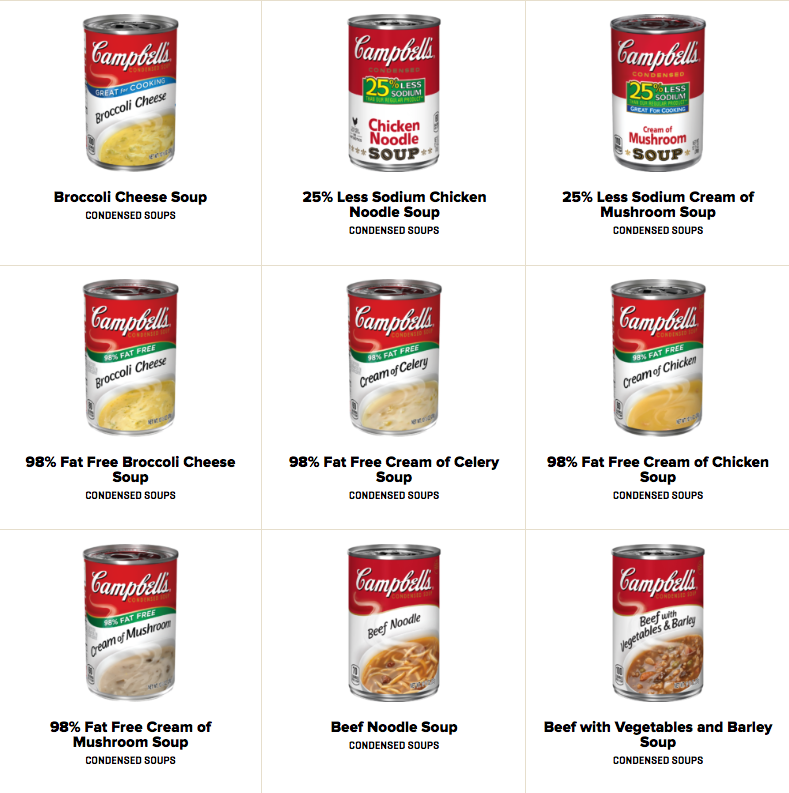 Take Campbell’s soup product page, for example. All of the packaged products are shot at the same angle, with the same lighting, at the same resolution, despite the fact that you can bet they weren’t all photographed at the same time. When you hire a professional photographer to shoot your packaged product, he/she takes notes about what camera, what lighting, what background and at what angle each of them were shot, so they can replicate the exact scenario when new products are released. When you hire a professional photographer, you’re in control of the photos. Therefore, before you even research photographers in your area, make a shot list of the images you need for your marketing communications. Do you need an image for your website or billboard? You’re going to need it to be in a horizontal format. Need a delicious-looking spiral-sliced ham for a Thanksgiving promo? Make sure it’s surrounded by all the Thanksgiving favorites and drizzled in cranberry sauce. Composing an accurate shot list will help you and the photographer stay organized and make sure you’re getting the exact images you need. At Newpoint, we do the heavy lifting for our clients—from researching your brand’s photography needs and creating shot list, to choosing the right photographer and food stylist with experience in capturing products similar to yours. We manage the process from beginning to end, including art directing the photo shoot and making sure those photographs meet your needs and expectations.